22nd July 2010. The National Gathering Trip Report. Heavily discounted shop products - While stock lasts! Have you heard the new ExplorOz Trivia CD? If so, we would love to hear your feedback. Also, dont forget to make the most of your ExplorOz Membership benefits. We’ve got a bumper edition of the ExplorOz Newsletter for you this week. David and Michelle are back from the National Gathering so the office is in overdrive! The response to the Gathering was overwhelmingly positive and we received some great feedback from the attendees. Michelle and David documented the Gathering, as well as their own post-gathering trip across a few blogs. 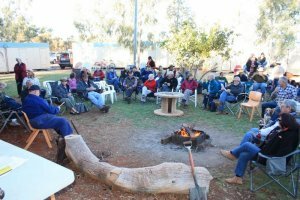 The National Gathering Blog can be read HERE and David and Michelle's Trip Reports can be read here:Wiluna to Telfer via Gibson Desert andRudall River National Park. David and Michelle weren't the only ones busy writing whilst on holiday! Member - Adrian C (VIC) penned an entertaining poem, aptly named "ExplorOz Gathering Bush Poem". It was a hit at the Gathering, and I am sure it will be amongst our Newsletter readers as well. To read Adrian's poem click HERE. Make your Blog & Place updates from the bush! As you'll read in David and Michelle's blogs, they utilised the NEW site feature where you can take a photo with your mobile phone and write a few words to describe the place you have photographed and send it from your phone to the ExplorOz website. This creates a new place or update in the ExplorOz Places system. David and Michelle (and now a rapidly growing group of other Members) also use this same feature to write and publish their blogs, and so can you! It's very easy and we all know that these updates are really useful but get forgotten when you get home, so that's why we wrote this software to make it more convenient for you to do the updates when you are out there! To find out more, read the Site Tips Blog - Mobile Updates. Yes, there is a step-by-step guide to help those that feel they are "dummies". The ExplorOz team create Blogs with helpful site tips based upon common questions, tricks and tips as well as step-by-step guides to make your ExplorOz experience more efficient and more exciting! Simply click HERE to browse the ExplorOz site tips. 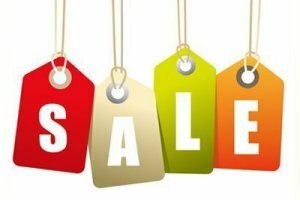 Over 150 products lines including maps, books, atlases, digital mapping and eflare safety beacons have been heavily discounted to over 30% off RRP in ourBargain Buys section. Now’s your chance to get a great bargain on some excellent products, but you need to get in quick, as these prices are only valid while stock lasts. For the last fortnight, we have been adding a complimentary ExplorOz Trivia CD to all Online Shop orders (Normally $9.95). Although this promotion has now come to an end, we would love for anyone that has listened to the CD to tell us what they think! This is the first time we have produced such a CD, and any feedback would be greatly appreciated. To leave a review, simply open the Trivia CD page by clicking HERE, then scroll to the bottom of the page and leave your comment. As you are no doubt aware, being an ExplorOz Member has a multitude of benefits, so many we cant list them all here... For a full list, be sure to check theMembers Reward page. If you are an ExplorOz Member make sure you take of advantage of these great benefits! Members receive 1 x FREE Trader Ad per year (worth $19.95) and Lifetime Members receive a credit for 5 x Trader Ads (worth $99.75) to use anytime. To redeem your FREE Trader Ad, simply create a new listing on the Trader Page and select ‘Free Member/AdPack Display Listing’. Ranger Campers - Ranger Campers manufacture competitively priced off-road camper trailers, as well providing a camper trailer hire service. at Waters Edge Resort - If location, tranquillity and comfort are what you are looking for in holiday accommodation, then Water's Edge Resort apartments (Airlie Beach) are for you. at Marina Shores - 5 star Marina Shores absolute waterfront living is positioned in a prestigious oceanfront location in Airlie Beach. at Waterfront Whitsunday Retreat - Waterfront Whitsunday Retreat sets new standards of luxury couples only boutique accommodation in the Whitsundays. Trip Report from the Wiluna Gathering! Huge Discounts on over 150 Products!